So, you’ve got your new inflatable hot tub and you’re ready to hop in. It’s the ultimate in relaxing experiences…except for the mosquitoes. And gnats. And the sunlight glaring into your eyes as you try to soak the day’s stress away. And the neighbors gawking at you in your swimsuit. But what can be done about it, really? Isn’t it a part of having an outdoor hot tub? It’s a common problem among spa owners. Spending that much time outdoors, exposing yourself to the elements, can tempt in the creepy crawlies, whether they be insects or nosy neighbors. Or, if you find yourself losing track of how long you’ve been in your inflatable spa, you could wind up with a nasty sunburn. Many people find themselves avoiding what was once their favorite way to unwind simply because they don’t want to be bothered. But is there a way to fix this? The answer is: Absolutely yes! 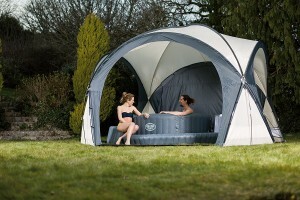 If you find yourself being bothered in your tub, then you should invest in a Lay-Z-Spa Gazebo! 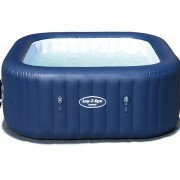 The Lay-Z-Spa Gazebo is a shelter that is especially suited for your Lay-Z-Spa inflatable hot tub, but can be used for any number of things, as well. This enclosure is a perfect way to keep out pesky insects and too-bright sunlight. 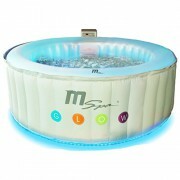 It also affords you privacy in your inflatable spa, so that you can relax in peace…and away from prying eyes! 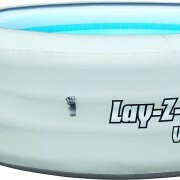 The Lay-Z-Spa dome enclosure is inflatable and, for some, can take as little as eight minutes. Though admittedly a bit bulky and hard to maneuver while setting it up, this gazebo is very sturdy. It should stand through wind and heavy rains, though it isn’t water proof. 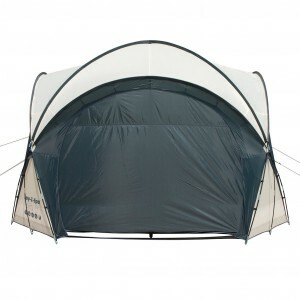 Because it is so strong, yet can be set up and taken down very quickly, this is the perfect option for someone who doesn’t want a permanent gazebo for their hot tub. And, with the average price being only £459, it is a far cheaper option than building a covering for your spa. This is the perfect option for someone looking to “have it all” and stay on a budget. 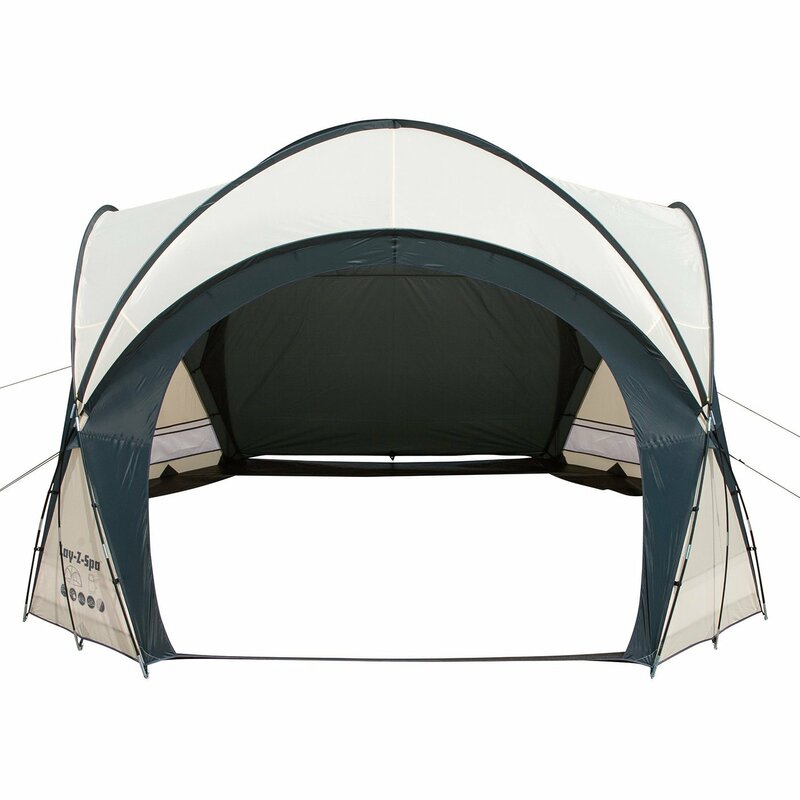 When making a choice for a gazebo based on features look no further than here! The Lay-Z-Spa Gazebo has all of the features that you could possibly want. Want to let in a bit of air, but keep the bugs out? You can roll up the outer layer, and let the breeze blow. Need a bit more privacy? Let the curtains down, and you’re effectively blocked from sight. This gazebo is also spacious, easily fitting a hot tub with a diameter of 3.8 meters. Because of this, the Lay-Z-Spa Gazebo also makes an excellent shelter for when your children are using their kiddie pools; this will keep them from being sunburned as they play. Are you finally putting your spa away for the winter? That doesn’t mean that this gazebo has reached an end to its usefulness! During the colder months, it can be used as storage for your yard, or as a sunshade even when its cold out. The uses are endless! The Lay-Z-Spa Gazebo is excellent for those who want a no-guesswork option for their hot tub coverage. It comes with a wide variety of items that you will find useful in setting up and maintaining your new enclosure. This includes the pump required to set up the gazebo, twenty-four pegs for securing it, and a carrying bag, so that your gazebo can be transported easily. 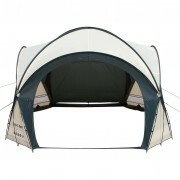 The Lay-Z-Spa Gazebo is made of high-quality material. 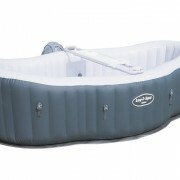 The outer layer is made of a very durable polyester, so that the sturdy material can protect the inflatable spa and its users. The inner layer is a fine-mesh insect net, to keep the pests out.